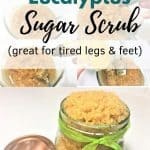 Use this DIY hair growth serum recipe overnight for an intense treatment or during the day over clean dry hair. If you are tired of trying to manage a dry scalp and patches of hair loss is time you found a lasting solution to your hair problem. You can now make your own hair growth serum at home with natural ingredients. A DIY homemade serum that is affordable, easy to make and very effective. 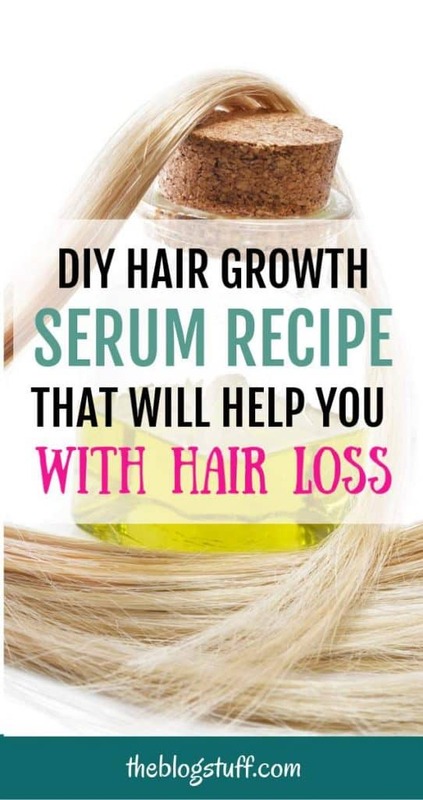 There are actually several recipes for hair growth serum, but not all have been proven to work. That’s why I’m sharing this recipe that my sister (the hairdresser) recommended to me. I have been using it for 3 weeks and although I don’t see any new hair growing yet I noticed that I’m not losing as much hair as before. It looks very promising because the ingredients used are effective to stimulate hair growth. Try this recipe to grow longer and thicker hair faster. Other pluses of using this serum are smoother, stronger and healthier hair. So let’s see what we need. Make sure the bottle is just the right size for the amount of serum you are making. 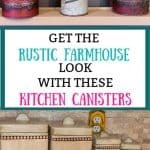 # Put all the ingredients into a spray bottle or a bottle with a dropper. 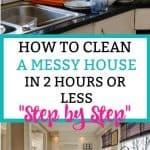 # Once you’ve put in all the ingredients, close the bottle and shake the contents vigorously. # If you have oily hair, replace the jojoba oil with distilled water. Remember to shake the spray bottle well before each use. – Spray 2 or 3 sprays on your palm and apply on the scalp by massaging gently. use the serum just after washing the hair (get rid of excess water first). Or you can use it over dry hair. Apply massaging the scalp in circular slow motions. – It is recommended that you use the serum before going to bed so that the scalp and hair are treated overnight. – You can use regular but fragrance-free shampoo to clean your hair. Jojoba: A popular essential oil known to aid in hair care. Jojoba oil is used to treat hair loss, and it is very effective for damaged and dry hair. The reason why it is good for making hair growth serum is that it easily mixes with other essential oils. Lavender: It is a good antibacterial agent, helping to protect the scalp while relieving itchiness, dandruff, and hair loss. It’s hair growth properties are enhanced when it mixed with other essential oils. Rosemary: Apart from promoting hair growth, rosemary oil improves blood circulation to the scalp which in turns help to nourish the hair. Rosemary oil is good for all hair types. Tea Tree: It acts as an antiseptic and an antiviral agent. It is also very good for people experiencing hair loss problems. This is especially so if it used with other carrier oils. Other oils that are especially good to improve the hair’s condition are coconut oil and castor oil. Use them alone as hair treatments or mixed with other oils to maximize its hair benefits. 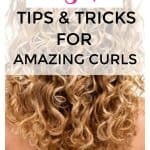 Is your hair curly? Do you find it difficult to manage? Learn how to take care of it with this curly hair routine. Nowadays, you can find essential oils at reasonable prices, so no need to worry about the ingredients being expensive. Plus it will last you quite a while. Also, remember that all DIY hair treatments should be made in a very clean environment. It is also wise to consult a physician before using some essential oils just in case you experience side effects. Some doctors advise pregnant women against the use of rosemary extracts. So, yeah! That’s all there is about making and using the best DIY hair growth serum. 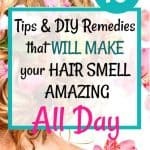 Do you have your own homemade hair serum recipe? What do you use to make your hair grow faster? Don’t be shy and share!